Today we are talking about baby blankets. Babies spend a lot of their time on the crib. Not only do they sleep some 16-17 hours a day, even when awake, they stay in the crib as you do other chores or take a rest. If you are going to use a blanket to protect them from the cold, then you might as well use organic baby blankets. ​Babies, especially newborns, have delicate skin and have yet to develop their immune system. Compared to traditional blankets, organic ones are safer to use. This is your main concern with anything that comes in contact or near your baby. It’s also the reason why you want to be sure to have the best crib and baby mattress that do not have toxic chemicals. Non-organic baby blankets and beddings are more likely to contain chemicals. From the source materials until the finished products, there are layers upon layers of chemicals used. By the time the products reach homes, babies might come in contact with toxic chemicals. Non-organic baby blankets may be cheaper but it comes at the expense of your baby's health. 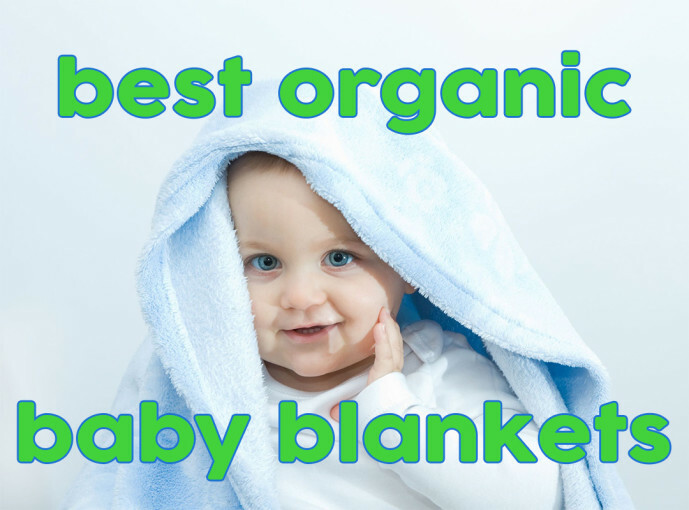 ​A safer and healthier option is using organic baby blankets made certified organic source. This means that cotton is grown in soils that do not have toxic chemicals. Furthermore, chemical fertilizers and pesticides are not used ensuring that no traces find its way to your baby. ​Think of the raw material, cotton, much like vegetables. Organic vegetables are more expensive than traditional vegetables. In the same manner, certified organic cotton is more expensive too. The process of creating the best organic baby blankets is also more complicated. ​The higher cost of raw materials and production explains why organic baby blankets expensive. But it does offer you peace of mind knowing you are keeping your baby safe from harm. Have you had trouble picking a good baby crib, child mattress, and bedding? One thing great about having a lot of choices is that you are more likely to find the right one for you. But having too many choices can also confuse you. Besides the selection, there’s also the matter of identifying organic baby blankets. ​When you go shopping, inspect only the blankets with a label or tag that says it is organic, and ignore the others. 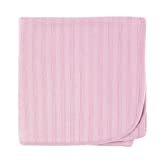 A good organic baby blanket should feel soft and comfortable and must smell clean and fresh. It must not have even the slightest smell suggesting chemical or gas emission. 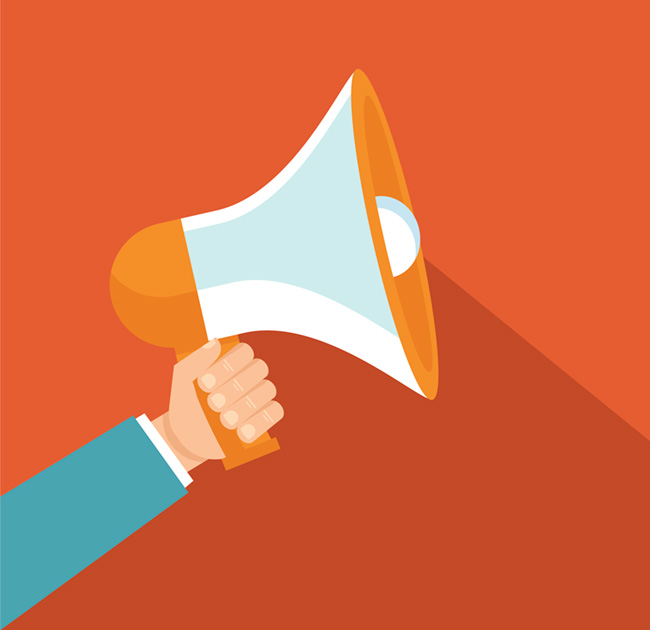 As you compare between the good brands, you will get a feel of it in no time at all. There are many good baby blankets in the market. I have scouted around mother forums and the social web and made a list of all the best organic baby blankets that mothers loved and highly voted for. Here are the top 6 best organic baby blankets. Let’s check them out. 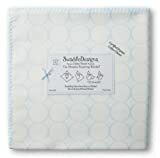 Baby soft, organic USA Cotton featuring SwaddleDesigns signature stitch, 42 x 42 inches (106 x 106 cm). Multi-use and long lasting; ideal for swaddling, sunshield, play mat for tummy time, privacy throw for breastfeeding, and more. SwaddleDesigns signature 123 Swaddle label with easy how-to-swaddle steps sewn to the edge of each blanket, making it easy to learn how to swaddle. 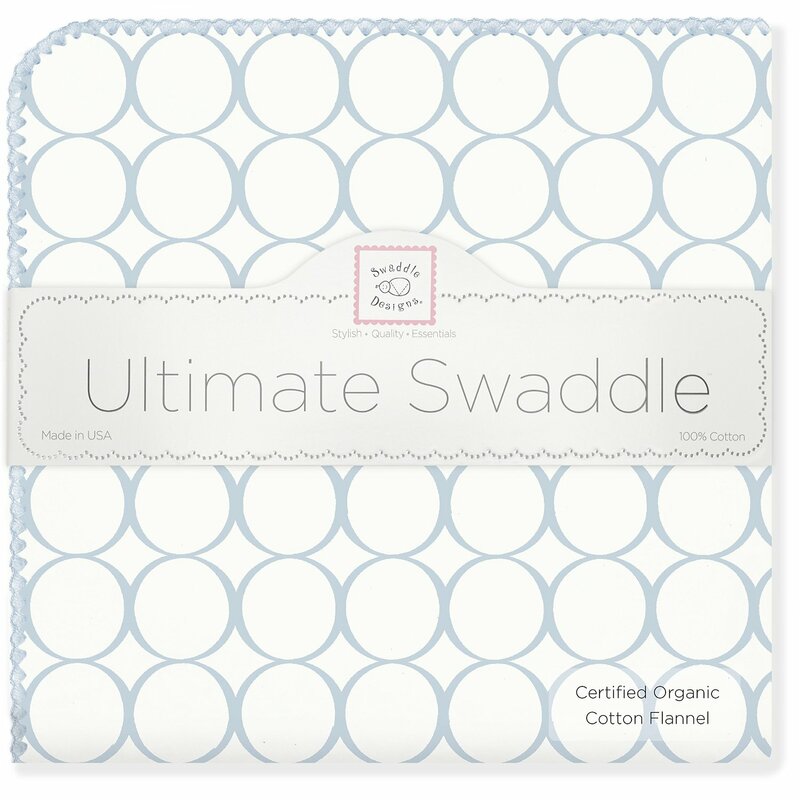 The SwaddleDesigns organic baby blanket is one of the best baby blankets mothers love. Each blanket comes with their signature 123 swaddle label with easy how-to-swaddle steps sewn to the edge of the blanket. Besides swaddling, this blanket is also ideal for use as a sun shield, play mat for tummy time and privacy throw for breastfeeding. ​If you are looking for a baby shower gift, this blanket will be a perfect fit. Unfortunately, this blanket comes only with 1 design. Multiple uses - Shade-cloth for sun protection, as a burp cloth, for discreet breast feeding and as a mat for tummy time. 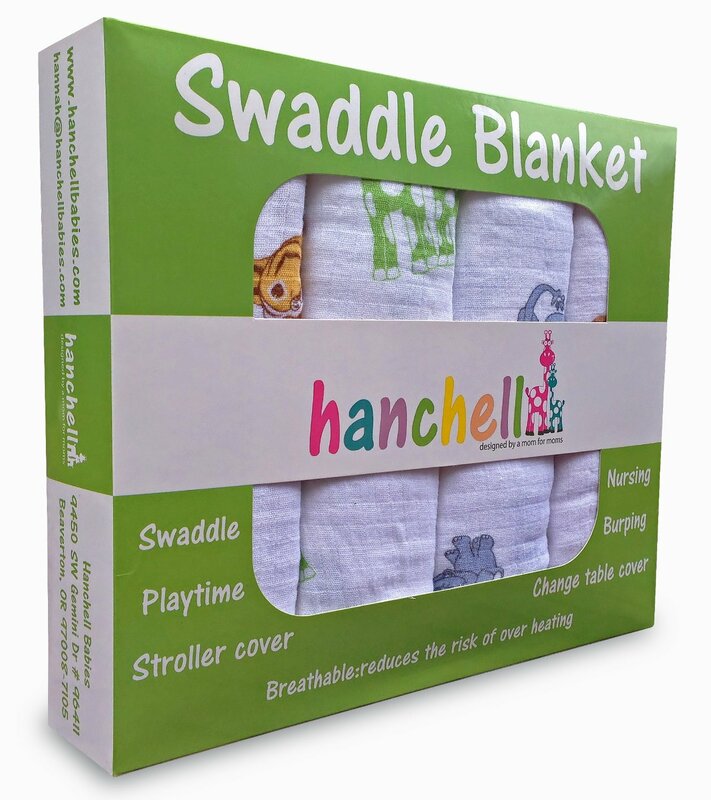 Hanchell Babies blankets are soft and 100% organic certified that meets the GOTS standard. As you know, you need to several pieces of blankets to make sure you have extra pieces while washing the others. Hancell Babies bundled 4 pieces into one pack that offers you great savings. 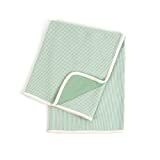 Hanchell Babies Organic Muslin Swaddle Blankets, White/Lime Green/Honeycomb/Yellow, 47" x 47"
Tadpoles offer an ultra-soft receiving blanket made of 100% certified organic cotton. It comes with a generous size of 30” x 30”. 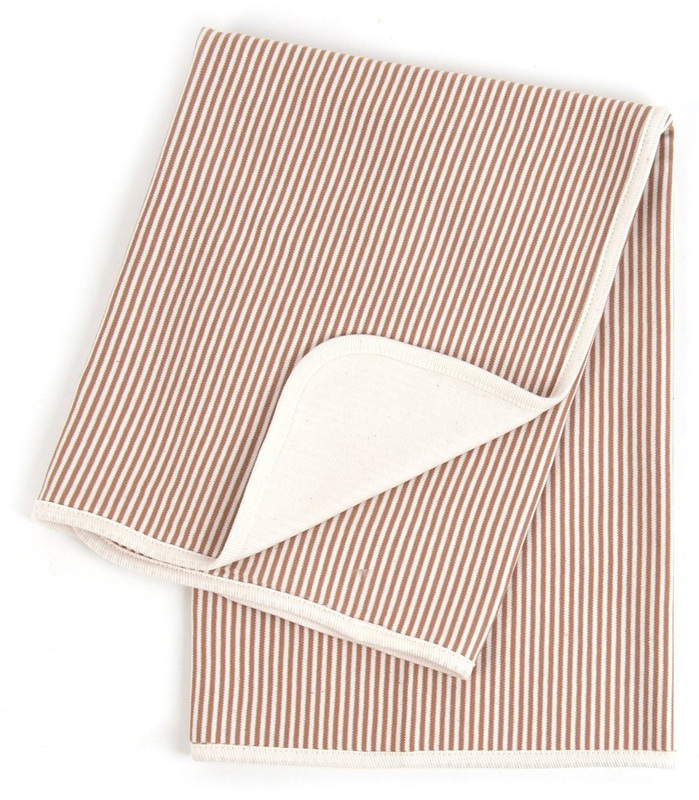 This reversible blanket features stripes on one side and solid on the other. Tadpoles organic receiving blanket is suitable for use in many ways. For instance, you can use it as a seat cover, breastfeeding or tummy-time blanket. This organic baby blanket is available in cocoa, sage and salmon color. In my search for the top organic baby blankets, I came across the American Baby Company, a brand that mothers love. 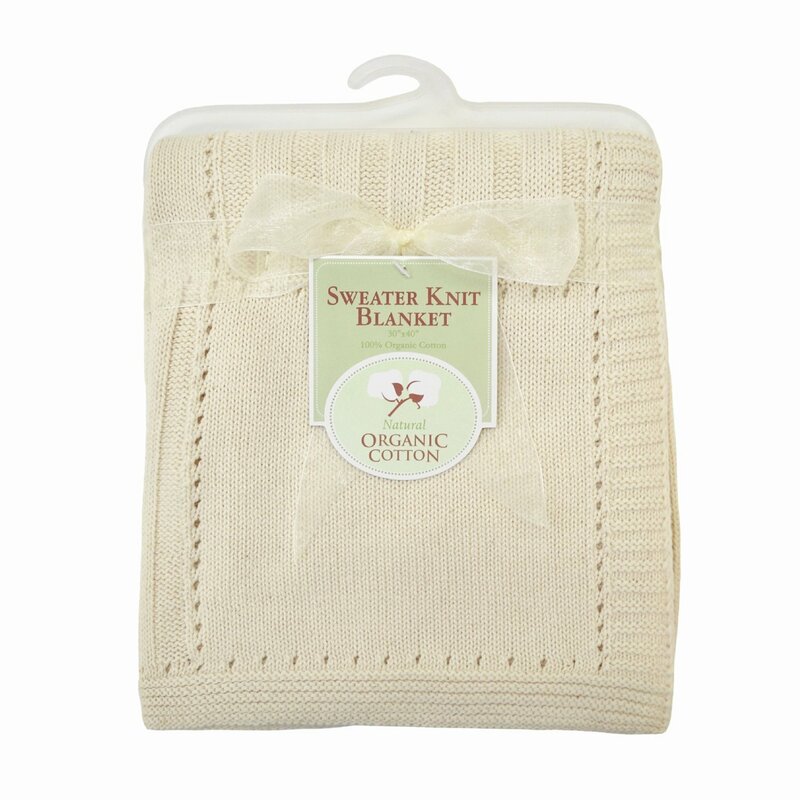 This organic cotton sweater knit blanket not only soft and cozy but gentle on your baby's skin. It comes with a generous size of 30” x 40”, which is more than enough for your needs. Get better deal when you purchase the bundle pack. Don't miss out this great deal! As mentioned, mothers love this brand because they like the cute teddy bear embroidered at the blanket. It has a soft mocha color making it a perfect baby shower gift for a baby boy or girl. The soft and stretchy material makes this blanket ideal for swaddling or using it for snuggling. The American Baby Company Organic Embroidered Receiving Blanket is 100% organic certified. 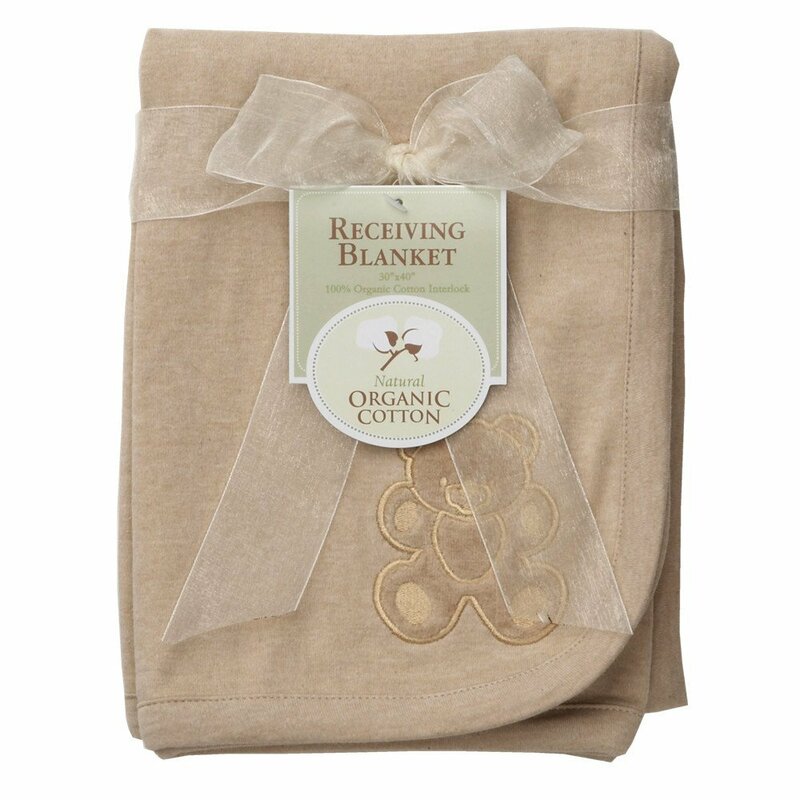 Like the other top brands, this receiving blanket is 100% certified organic. Use it for the seat cover, swaddle or snuggle before bedtime, your baby is sure to love it. And also, you, especially when you consider the Hudson Baby Organic Receiving Blanket is cheap at less than $10. Are you shopping for organic baby blankets for your baby, or as a baby shower gift? Regardless, all the six choices here sure to fill your needs. Not only are they cozy to use, they are also much safer and healthier than traditional blankets. ​And do you know what you can match the blankets with? How about picking some of the best interactive books for babies? Get your baby comfortable while awake and have fun by reading stories. 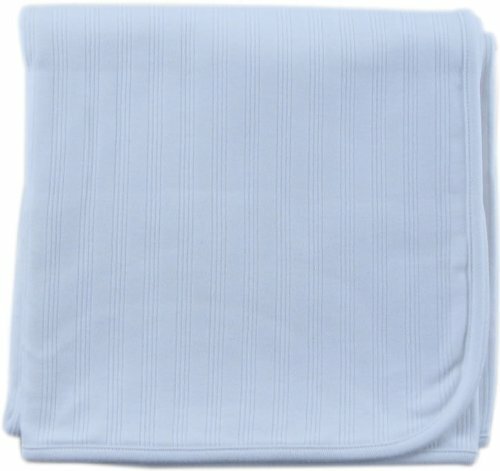 ​Let me know if you think there are other great organic baby blankets that I should also include. I will cover them on my next write up. See you and have a great day ahead.